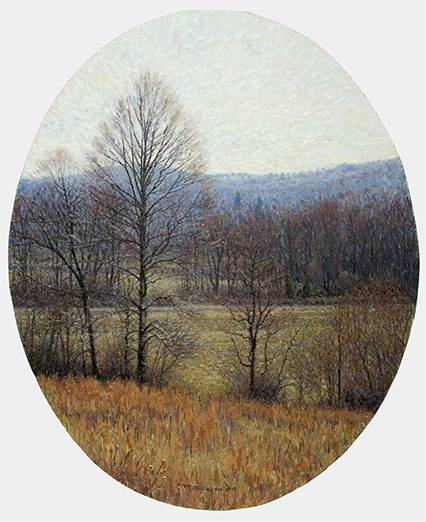 oil on canvas, 12" x 15"
An overcast morning not far from the T.C. Steele Memorial in Brown County, along Kent Road. Published December 9, 2013 at 426 × 522 in Main Gallery.